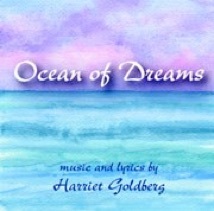 HARRIET’S NEW DIGITAL CD, “ONCE AGAIN,” IS NOW AVAILABLE TO DOWNLOAD ON CDBABY (http://www.cdbaby.com/cd/harrietgoldberg3) OR iTUNES. TO BUY CD’S OR DOWNLOAD ANY SONG ON MY CD BABY PAGE, CLICK ON THE COVERS BELOW. CLICK ON “BUY NOW” TO PURCHASE ANY CD ON PAYPAL. CLICK HERE TO GO TO iTUNES. 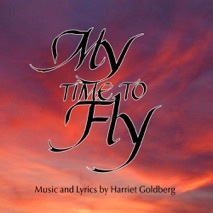 Harriet’s CD, MY TIME TO FLY, was nominated for a 2012 MAC Award (Manhattan Association of Cabarets and Clubs) for best CD of the year. It features two Boston area vocalists - Krisanthi Pappas, who has been compared to Norah Jones and Diana Krall, and Backstage Bistro award winner, Dane Vannatter. New York vocalist, Lynn Stein, sings two of three songs that Ms. Goldberg co-wrote with Connecticut songwriter, Robert M. Levy. The nine songs recorded in Boston include the following extraordinary musicians: Tim Ray on piano, Dave Clark on bass, Bill Reynolds on drums, Ken Cervenka on trumpet and flugelhorn and Billy Novick on tenor sax, alto sax and clarinet. Mr. Novick was also the arranger for these tracks. Boston pianist Doug Hammer accompanies Krisanthi Pappas on track #11. Tracks recorded in New York include the following musicians accompanying Ms. Stein: Jon Burr on bass, Tardo Hammer on piano (# 9), Matt Ray on piano (#10) and John Hart on guitar. Cover art by calligrapher, Elissa Barr. The songs on OCEAN OF DREAMS are performed by Debra Mann and Dane Vannatter. Ms. Mann’s lush vocals recall the sound of Diana Krall. Her uptempo tunes make you smile, her ballads make you cry. Dane Vannatter, an IRNE and N.Y. 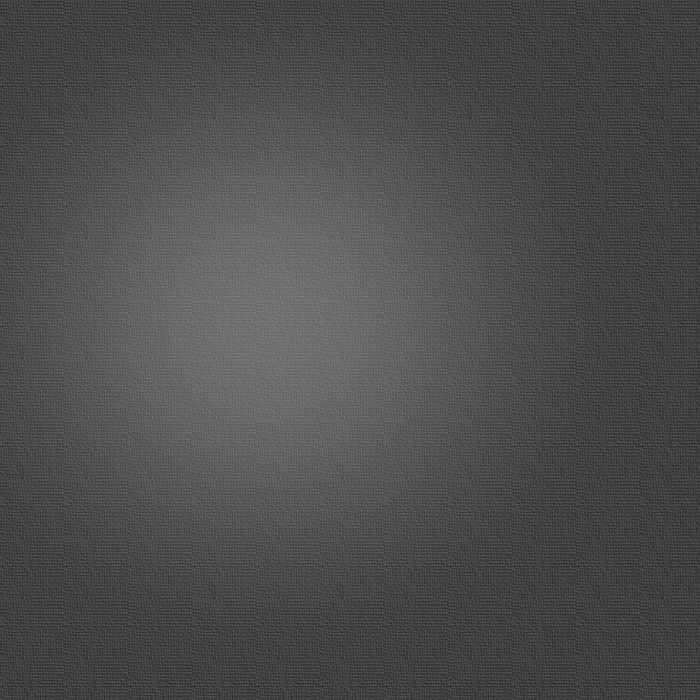 Bistro award winning vocalist, has a beautiful, shimmering quality to his voice. The other musicians on the CD include: Billy Novick, an inspired clarinetist and alto sax player (also the arranger). Paul Schmeling, on piano for all but one of the tracks. His lush chords and lingering intros are beautiful. John Wheatley on guitar sweetly and gracefully augments the bossas. Marshall Wood provides a strong, steady bass throughout, and immediately sets the pace on the first tune. The talented Bill Reynolds on drums rounds out this group of amazing musicians. “Ocean of Dreams” was recorded by David Sparr of Little Dog Studios in Medford, Massachusetts. Harriet’s first CD, BRING BACK THE MOONLIGHT, placed fourth in the vocal jazz category of the Just Plain Folks music awards in 2004. The song “Suddenly You Walked By” from that CD placed second in the jazz category of the 11th Billboard Song Contest. Four other cuts from the CD received honorable mention in the jazz or folk category of the 11th Billboard Song Contest. The vocalists on "Bring Back the Moonlight" are Debra Mann, who plays piano on half the tracks, and Cassandre McKinley. Ms. McKinley's style recalls that of Peggy Lee. Musicians on the CD include Paul Schmeling and Debra Mann on piano, Marshall Wood and John Lockwood on bass, Billy Novick on reeds, and Jim Gwin and Bill Reynolds on drums.